Yesterday’s social media post on rich pins was a lengthy post. So today’s post might be not as detailed. I still want to provide you with some good information. So it will be as long as it needs to be to provide the content needed. Today is day nine of the write 31 days series. I’m doing 31 days of social media. 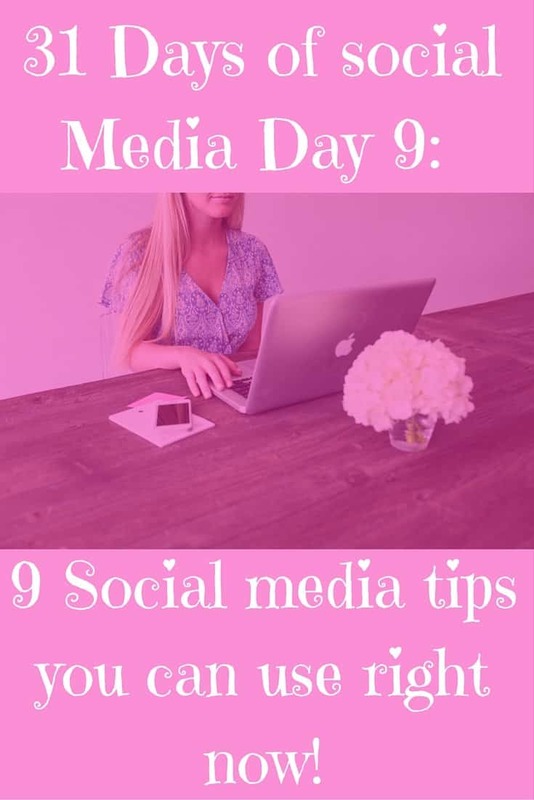 so for day 9 I’m sharing nine social media tips to help you with social media right now. Most of these tips can be used across multiple platforms. Since today is not specific to one social platform, unlike other posts have been. make sure you fill out your bios on social media. I didn’t do this in the beginning and wish I had known to. You want to share who you are and what you offer in your bios. That way new followers can get a sense of who you are and what you can do for them. Your bio is the first chance for your followers to know who you are and what you are about. 2. Then find out what keywords work for you. Use those keywords in your bio and in descriptions on platforms that have descriptions, like Pinterest and Instagram for instance. 3. Understand the power of images in social media. Platforms like Instagram and Pinterest are all about images so of course you use them there. Did you know that photos are really helpful on Facebook and Twitter as well. People are much more likely to interact with your Tweets or statuses if you include an image in them. 4. Make sure you share other people’s stuff as often as you can. This will help you to have the 70/30 that I talked about in this post. 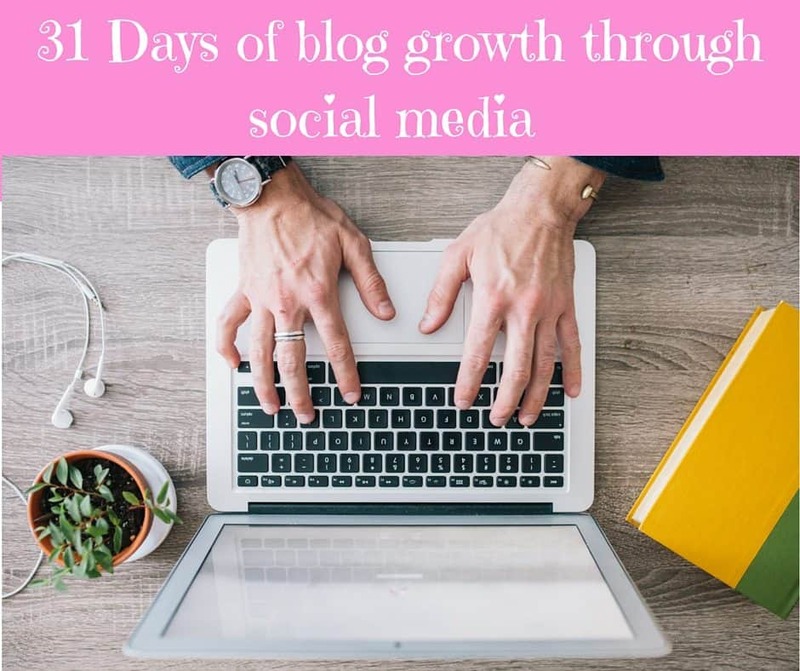 Also it will build you interaction and connection with other bloggers who will appreciate having their work shared. 5. Save time by creating templates for your social media. This has been such a good time saver for me. 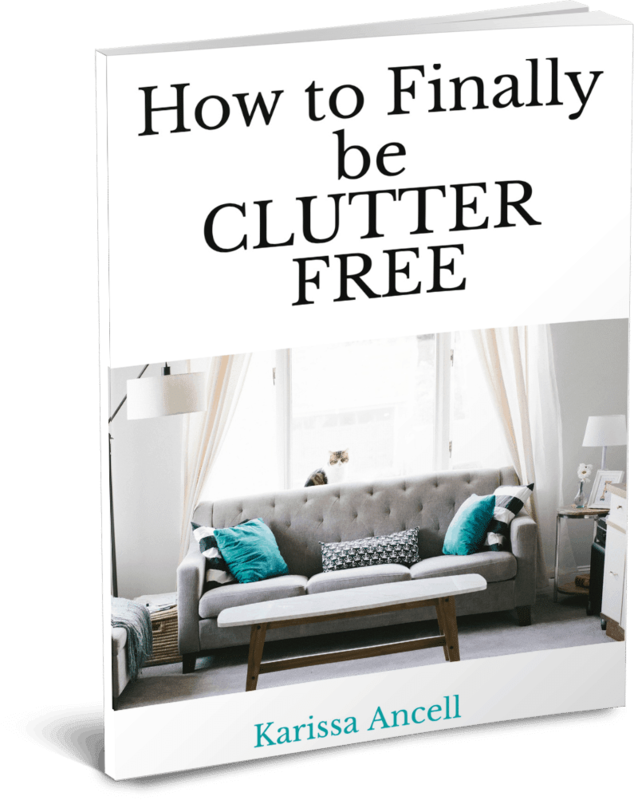 I talked about how great Canva was for this by saving your images so you could change them and edit them. I use Templates all the time for the main image I pin for my blog posts. I also use it a lot on Instagram. I use a template and change out the text or change a color. So the images all look similar and on brand but I don’t have to remake an image from scratch every time. 6. Make sure you don’t post too much content all at once. We’ve all seen that person who pins 50 cake recipes in a row and it fills your feed. It can be kinda annoying if you really don’t care about recipes for cakes. Or that person who posts 15 images to Instagram in 45 minutes. You don’t want to annoy your followers on any platform because that’s how you’ll lose followers. So spread stuff out across your platforms and do a little at a time. 7. You can do that by batching stuff with schedulers. I talked about using schedulers on day 6 of this series. 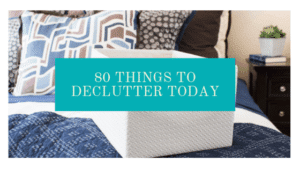 A great way to use them is to batch stuff and then schedule them. Take an hour and find things to share across social media and put them into your schedulers. Find quotes, blog posts and images that will fill the next few weeks in your scheduler. 8. You need to brand yourself across platforms. You can do this by using the same name across platforms. As well as the same photo or image of you on all platforms. Aldo using the same bio and cover image. That way your followers can easily recognize you on a new platform. It builds recognition and trust among your followers. 9. it’s important that you don’t ask people to follow you back. This is something that a lot of bloggers do when they are starting out. This is not something you want to do. I know it seems like an easy way to gain new followers but for every new follower you might gain you turn away more people who might have followed you. I don’t follow back people who ask and most bloggers won’t either. I’m more likely to follow you if you follow me and interact with on a platform. Great tips indeed! I never knew about doing a template for Instagram! Learns something every day! Thanks !! Awesome advice, thank you for sharing!!! Thanks for the tips about images with your Tweets. I know that I would get more engagement if I included them. GREAT advice. Lynne at The Sweet Midlife recently posted…Rah, Rah! Sis Boom Bah! You Can Do It ‘Cause You Already Are! Using templates is such great tip! I started using them on mail chimp for my emails, and oh my gosh has it saved me so much time! I wasted so much time in the beginning because I didn’t know any better. Why couldn’t this list have been around then??!!! Great tips! Great tips! I love using social media for my blog. I’m constantly updating my profile photo and bios to make sure everything is the same across all platforms which really helps when people are searching for me online. The two most beneficial things have been networking and using CoSchedule to schedule out my posts and social media! Great tips! There really is an art to getting social media right. I’ve only recently got into using Buffer to batch schedule stuff and it’s honestly been the best thing I’ve done re: social media so far! 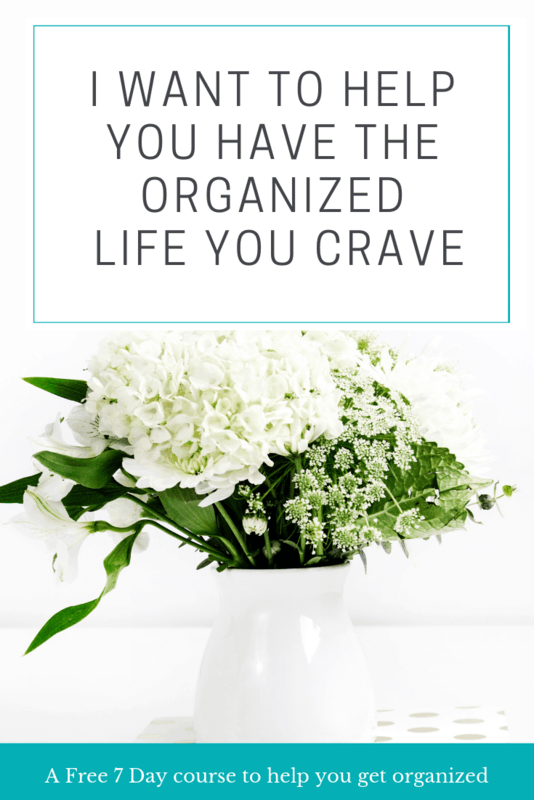 I love canva! Its has bene great for branding and its really fun to create all the images! 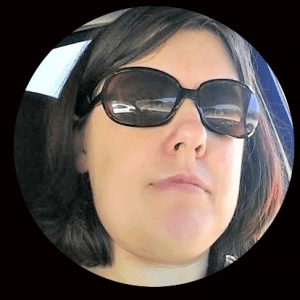 Kate recently posted…What Is Holding You Back?